Many small to mid-size companies are turning to the "cloud" for business solutions such as hosting, data storage, analytics, collaboration and production. Labor Day - Celebrate In The Cloud! More companies and workers are embracing remote cloud services - just something to remember this Labor Day Weekend. Labor Day, in the United States and Canada, is celebrated on the first Monday in September. It is a day set aside to celebrate the labor movement, and the tremendous achievements and contributions workers have made to our society. In recent years, the workplace - where those laborers actually work - have changed dramatically says Bizwaremagic.com, an online marketing site which has been presenting small business solutions for over 12 years. More small, mid-size and even large companies have turned to remote, third-party service providers to perform many of the day-to-day operations and functions associated with running their businesses. This practice is often referred to as working "in the cloud" or using "cloud services" as these third-party facilitators can be thousands of miles away from the actual location of one's company. In 2014, according to Forbes, companies in America "will spend more than $13 billion on cloud computing and managed hosting services." Providing these cloud services are leading companies such as Amazon, IBM, Microsoft, Cisco, Google and Apple. The reasons why these cloud services have become so popular with companies and workers were nicely summed up by IBM in a convenient Infographic called appropriately - 5 Reasons Businesses Use The Cloud. Chief among those reasons: "Collaboration, better access to analytics, increasing productivity, reducing costs, and speeding up development cycles." However, there are other factors which directly or indirectly, play a significant role in the growth of these cloud services. New developments in technology and hardware have greatly influenced our perception and acceptance of these services. There are now web apps or applications for countless programs and services users want on their computers and mobile devices. In addition, the overwhelming presence of smartphones, iPads, chromebooks, laptops... and gadgets of every description have made access to these remote services extremely easy and available to everyone. "Plus, you can't ignore the influence of open source ventures such as Google's Chromium OS project," says Titus Hoskins, a former teacher who now runs the Bizwaremagic.com site. "Web applications and online solutions via the Chrome OS will only increase as more and more Chromebooks and Chromeboxes hit the marketplace." There are also the growing trend of using the web for faxing with online fax providers and even for virtual PBX phone systems. These are just two office or business solutions which have found an online alternative. No doubt, as this Labor Day is celebrated, many workers won't realize just how much of their work is done in the cloud mainly because of the seamless integration these services provide for companies. However, like laborers around the world, these cloud service providers should not be ignored, but celebrated. Bizwaremagic.com is an online small business and marketing site, which has been offering web solutions to business owners for over 12 years. 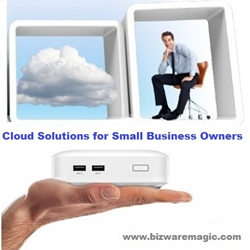 For further information on these web solutions and services, try here: http://www.bizwaremagic.com/cloud_solutions_for_small_business_owners.htm. 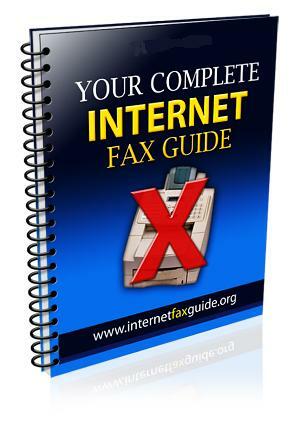 Free Internet Fax Services GuideInternetFaxGuide.org - Download your free handy Internet fax services guide now!